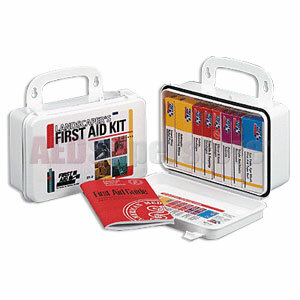 With our 94-piece, 10-unit landscaper's first aid kit, you're prepared to face the outdoors. Keep this kit within easy reach and treat insect stings, minor cuts, sprains and eye irritations. Products are contained in a sturdy plastic case with gasket.